The freestanding construction of the Lullaby is a perfect compliment to its space-conscious, modern design. 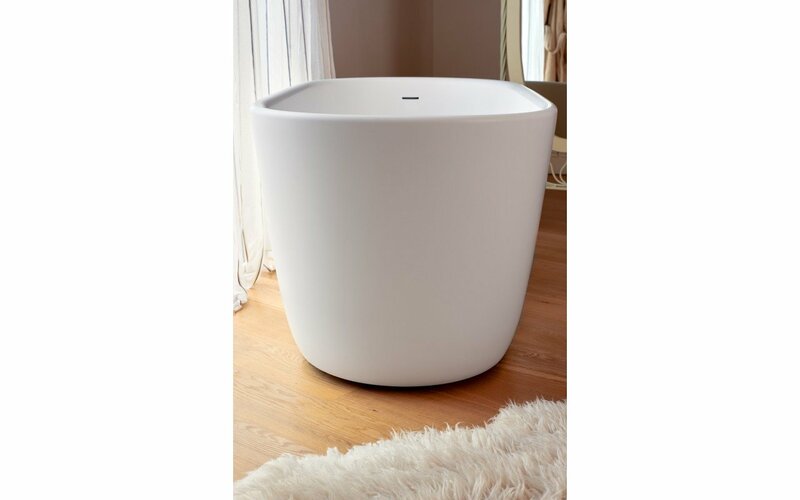 At just 55 inches long, this “mini-tub” is one of our smallest designs. It is extra deep, ideal for a full-body soak, and its ergonomic design is made to provide ultimate comfort. 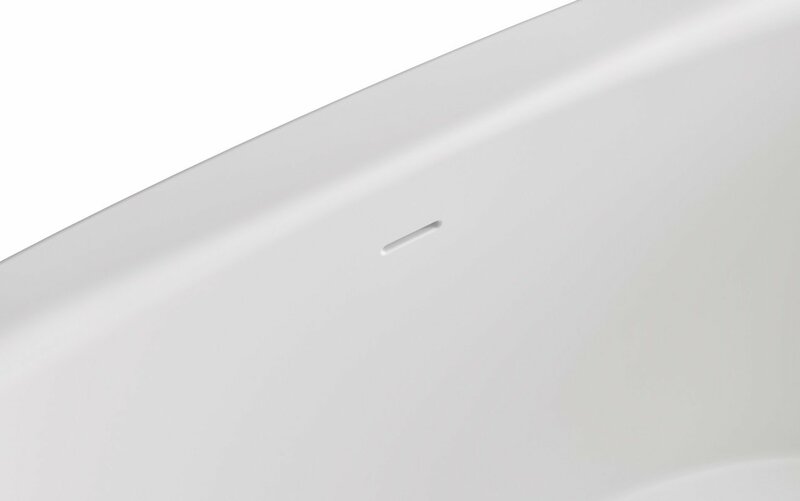 The solid matte surface of the Lullaby’s AquateX™ material is warm and velvety to the touch. Furthermore, this tub boasts excellent heat retention and durability as well as a chrome-plated drain. The Lullaby is cUPC Certified in the United States and Canada. For those who want the pleasures of deep full body soaking within a more concise footprint, the Lullaby Mini really delivers. This design cleverly incorporates the spacious, deep luxury of its bigger sister, Lullaby, including a big 16.25” (41.4 cm) of depth to overflow drain. With clever use of available space, Aquatica’s team has also managed to retain much of the interior size and ergonomic design features. 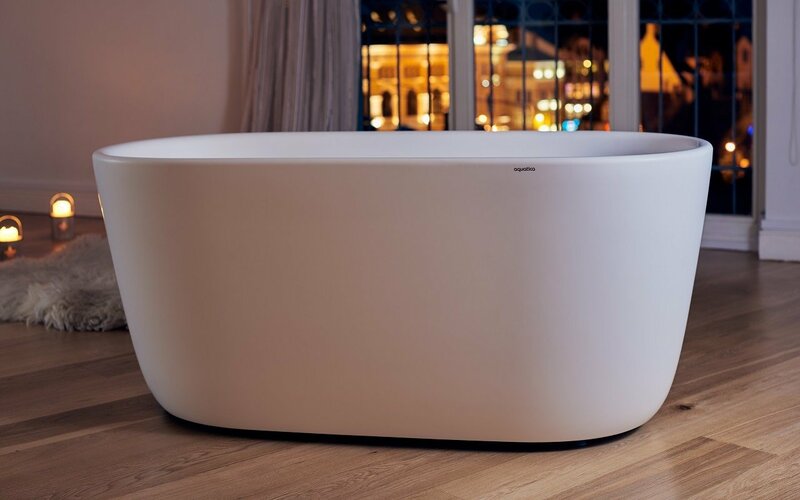 Aptly named, this compact bathtub cradles your body in full soaking depth. Ergonomically designed for comfort and support, the Mini features gently sloping ends which optimise the ideal sitting position and a smooth rounded rim on which to rest your head. The tub comes with a discreet overflow and AquateX™ material drain plug. Very modern,incredibly beautiful and comfortable. Grate, study Packaging arrived in perfect condition. Not installed yet but contractor assess and said there is no problems anticipated. Looks amazing in person. Very elegant and sophisticated. Material feels luxurious. The Lullaby Mini bathtub from Aquatica Plumbing Groupy was the perfect choice for the restoration of our historic 103 year old house near the redwoods and beaches of Northern California. The Lullaby mini tub has the classic elegant look and refined feel I was wanting when restoring this classic house. My bathroom now has life, and a historic feel. 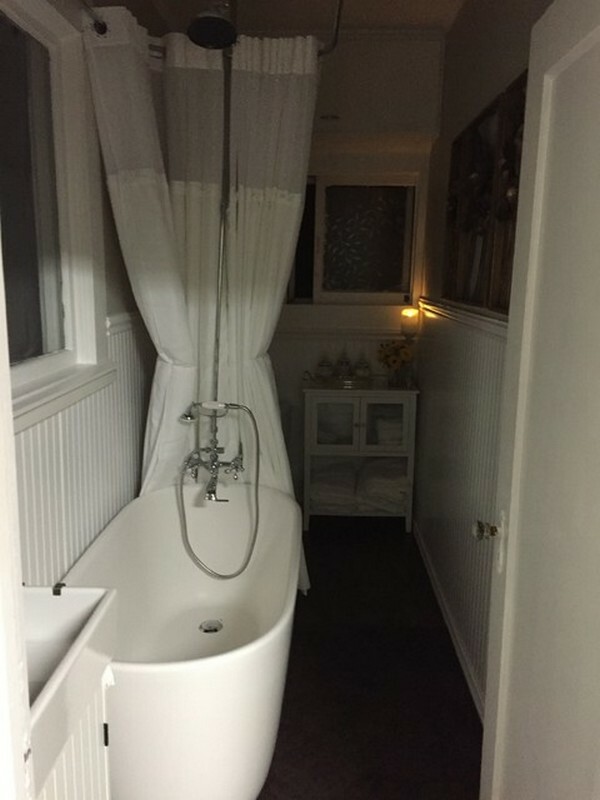 The dimensions of the tub were critical to the restoration of the tiny bathroom space. I searched and searched to find a tub that would fit, other companies wanted me to take out walls or said there was nothing out there that would fit the tiny bathroom but the staff at Aquatica worked with me to find the right fit, searching and researching while never pressuring me. The customer communication was so important, timing was essential when re-modeling in a remote location and boy did they come through with their word. Aquatica staff made sure that my order was tracked all along the way, from placing the order, to payment, to when and how it was being shipped, to the final delivery and inspection. I was completely satisfied, and would purchase from them again. I recommend Aquatica Plumbing Group to my friends, and to those who want a really great quality product with great customer service. 100% satisfaction.